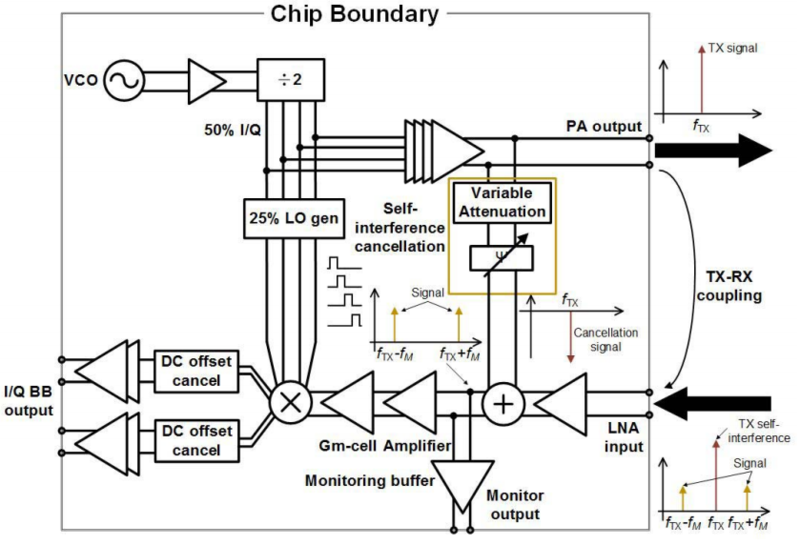 We demonstrated a single-chip in-band full-duplex (FD) transceiver with self-interference cancellation (SIC). 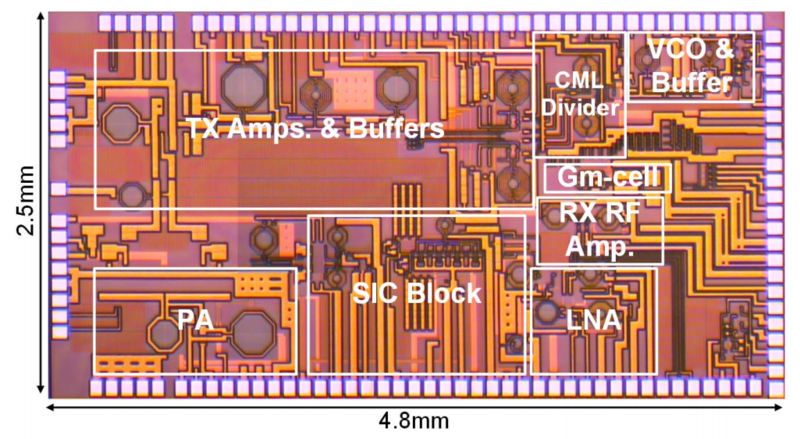 The RX has a noise figure (NF) of 3.1dB/6.3dB at 10MHz/50kHz IF with TX and SIC off. The 1/f noise corner is 60kHz, more than one order of magnitude lower compared to prior work. Moreover, for the first time, the operation of RX and SIC is demonstrated when a co-integrated TX is active at the same time and generating more than 20dBm output power. 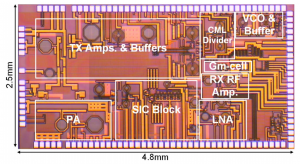 When TX and SIC are on, at -10dBm SI power, the NF is 6.8dB/11.1dB at 10MHz/50kHz IF. This is lower by 5.6dB/9.6dB at 10MHz/50kHz IF compared to the NF with S IC off. 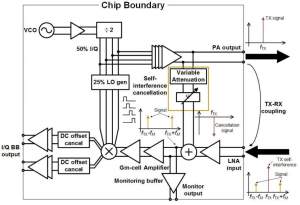 X. Yang and A. Babakhani, “A Full-Duplex Single-Chip Transceiver with Self-Interference Cancellation in 0.13Âμm SiGe BiCMOS for Electron Paramagnetic Resonance Spectroscopy,” to appear in IEEE Journal of Solid State Circuits, 2016.